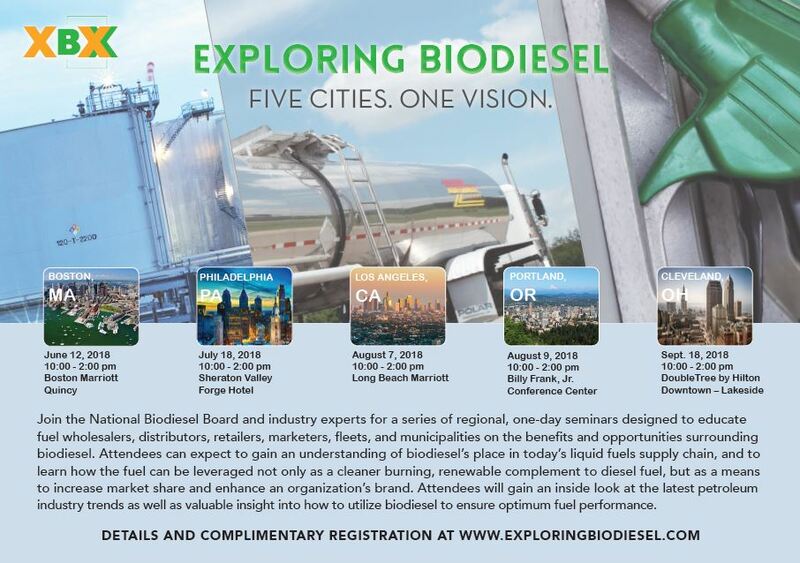 Join the National Biodiesel Board and industry experts for a series of regional, one-day seminars designed to educate fuel wholesalers, distributors, retailers, marketers, fleets, and municipalities on the benefits and opportunities surrounding biodiesel. Attendees can expect to gain an understanding of biodiesel’s place in today’s liquid fuels supply chain, and to learn how the fuel can be leveraged not only as a cleaner burning, renewable complement to diesel fuel, but as a means to increase market share and enhance an organization’s brand. Attendees will gain an inside look at the latest petroleum industry trends as well as valuable insight into how to utilize biodiesel to ensure optimum fuel performance.